I used to see misbehaving children in public and think that the child really needed discipline…until I had an ADHD child. 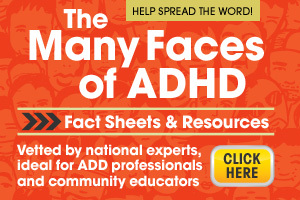 I used to think that ADHD was way over diagnosed…until I had an ADHD child. Now I know it’s real, and I can pick an ADHD child out in a crowd. No amount of perfect parenting can undo ADHD behavior. And ADHD isn’t always just about not being able to pay attention or acting hyper. ADHD also drastically affects a child’s ability to process information inhibiting learning and affects behavior limiting friendships and teacher relationships. Medication helps, but there is no cure. It isn’t about bad parenting; these children truly often can’t control themselves. And until you have an ADHD child in your life, you can’t possibly understand. Please don’t judge us.